With more than half of England now under drought conditions, water conservation has become a hot topic for teachers and school managers alike. Britain is experiencing its worst drought in a generation. Half of the country has now been declared a drought zone, including most of the South West and the Midlands, and more than 35m people are currently living in areas that look set to suffer water shortages well into next year. 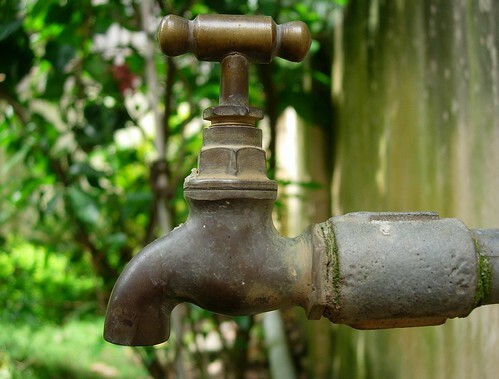 In recent months 17 new counties have imposed hose-pipe bans in an effort to curb the crisis, but despite recent rainfall, the drought looks set to continue throughout the year and possibly into 2013. With water shortages making national news on a regular basis, there has never been a better time for schools to focus on water conservation at both a teaching and management level. Not only because it’s important for pupils to learn about the importance of water as a natural resource, but also because an effective water management programme can massively reduce water usage thereby reducing a school’s environmental impact, setting a positive example for pupils and enabling schools to make considerable savings. Schools spend a total of £70m a year on water and wastewater services, an average of over £2,500 per school. It’s estimated that an effective water management and education programme could reduce a secondary school’s water consumption from 11 cubic meters per pupil per year to 4 cubic meters, which could save a school of 600 pupils roughly £5,000 a year. There are a number of measures that schools can take to reduce their water consumption, ranging from simple, low-cost changes that will make an instant impact, to large-scale installations such as rainwater harvesting systems that will see schools make savings over a far longer period of time. Kit Jones, Media Officer for the Centre for Alternative Technology said: “Water is a scarce and precious resource and there are lots of competing uses for it, which is why is must be used wisely. “There are a range of things that schools can do to reduce the amount of mains water they use, some of which are very simple. For instance, they can use water-butts to collect rainwater and use it to water the school garden, and make sure that watering is done in the evening, when it won’t simply evaporate. Schools looking to make savings in their water consumption should begin by conducting a water audit, to assess the current situation and identify areas in which improvements can be made. A number of water companies including Dwr Cymru, Severn Trent Water and Anglian Water offer free water audit templates that can help schools make appropriate meter readings, estimate current usage, identify leaks and other problems and decide on areas in which it would be practical and cost-effective to make changes. Conducting an audit can also effectively engage pupils with the water conservation project, encouraging them to take responsibility for their own water usage, understand the issues relating to water consumption, and change their own habits both at school and at home. Once a school has carried out an audit with the help of students and staff, and effectively eliminated leaks, they are likely to identify urinals, toilets and taps in washrooms and bathrooms as the largest water users. Traditional urinals, that flush automatically even when not in use, are responsible for wasting huge amounts of water but can easily and cheaply be improved. Passive infrared urinal controls, for instance, are able to detect students entering the washroom and thus can be set to flush only when necessary. There are also several waterless urinals now on the market, which are becoming increasingly popular. Waterless/Water-Saving urinals save an average of 137,970 litres equating to 137.97 cubes of water each year. That is the equivalent of around eight full tanker trucks of water that could be used for most essential purposes. Dual-flush toilets are now competitively priced and extremely water efficient, and should be chosen when school washrooms are being refurbished. However, schools looking for a retrofit and more economical solution can also install cistern displacement devices, which are widely promoted by the water industry. The devices, such as the ‘Hippo’, ‘Freddie Frog’ or Savabag, are simply dropped into the cistern, reducing every flush by one litre. A dripping tap can waste as much as 90 litres of water a week, whilst taps that are left running can not only flood washrooms, but cause untold wastage. Push taps can be retro-fitted and adjusted to the required duration, and many models have in-built flow restrictors which can further reduce waste. Flow restricting valves and spray taps can also save water and energy at minimal cost, whilst still delivering good performance. For the majority of schools, a combination of these products can have a hugely positive effect, dramatically reducing water consumption and cutting costs. For Chesswood School in West Sussex, for example, the installation of passive infrared urinal controls, push taps, flow restricting valves in classrooms and cistern displacement devices in toilets allowed them to make savings of around 73% of their pre-trial consumption. That’s the equivalent of an annual reduction in bills of over £3,200! The single most cost-effective water saving measure was the installation of passive urinal controls, which cut their overall water consumption by 68% and paid for themselves within nine months, but the push-taps that were fitted in the washrooms across the school also significantly reduced consumption. Thanks to its successful water efficiency project, the school now uses less water during one school day than it did during the whole summer holidays before the project began, and sets an inspiring example of the difference that can be made through simple and cost-effective measures. If schools wish to take their water conservation efforts to the next level, inspire pupils with their use of innovative new technology and make significant long-term financial savings, however, they might want to consider rainwater harvesting technology as a viable alternative. Rainwater harvesting systems capture rainwater that falls on the roof, feed it through a filter into an above-ground storage tank and then pump it back into the school for use in the toilets. As 85% of schools’ water usage is for toilets, schools are ideal locations for rainwater harvesting systems. Although initially expensive, a rainwater harvesting system can pay for itself within 2-8 years, depending on the size of the school, and once the initial payback period is over schools’ water bills will be reduced by up to 85% year after year. Schools that have installed rainwater harvesting systems have found them to be a fantastic educational resource as well as a useful water conservation device. An Taisce from St. Catherine’s School in Dublin said: “Installing a rainwater harvesting system was decided by the students because it’s something that would benefit the school and reduce costs into the future. Previous Post Smile for the Camera - Does CCTV in school provide peace of mind or an unwelcome intrusion? Next Post How does your school stand out from the crowd?